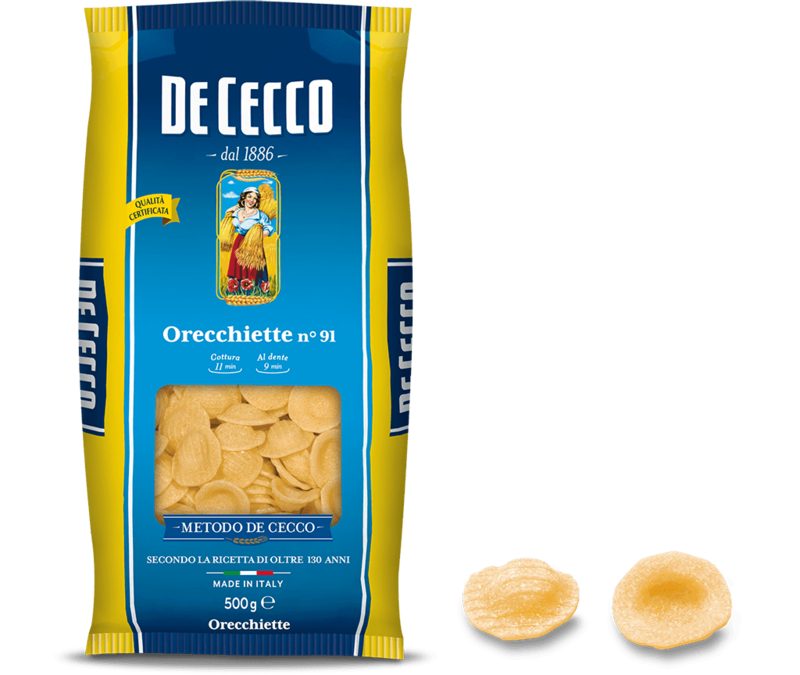 Orecchiette (little ears), also known as "strascicati", are a typical pasta shape from the Apulia culinary tradition. The shape is a round disc with a slight indent in the centre. 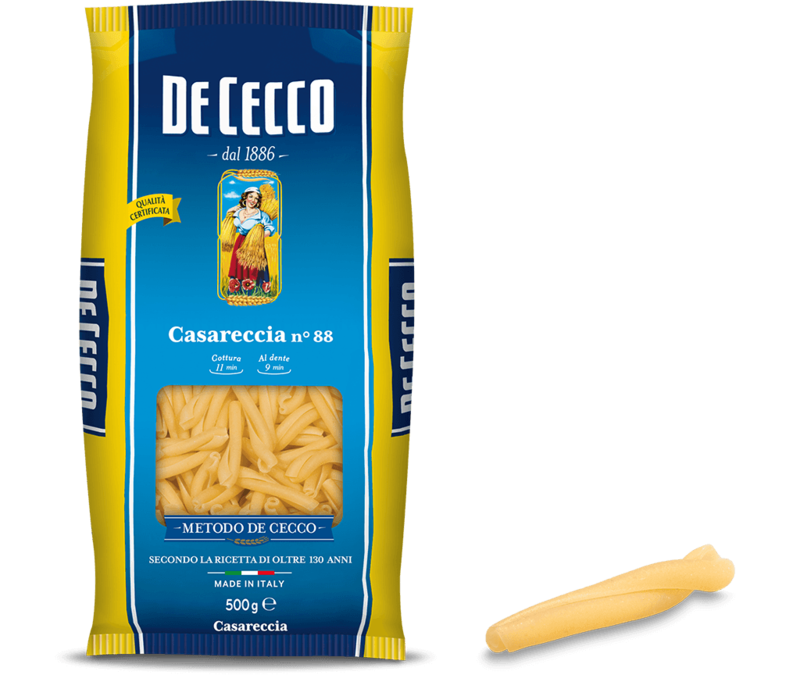 In the culinary tradition of Apulia of home-made pasta, orecchiette were made with white flour, durum wheat semolina and water. After the pasta dough had been cut into small pieces, it was "dragged" ("strascicati" in Italian) with the tip of a knife to create a sort of small shell, then pulled back with the tip of the thumb. This pasta is also known as "Recchie" and is served with vegetable ragù, or lamb and ricotta ragù.